Top Cow Productions, Inc. is proud to announce that the winner of the Pilot Season 2011 event is Jeremy Haun’s and Jason Hurley’s THE BEAUTY. THE BEAUTY beat out seven other competitors to take the Pilot Season crown in the most competitive voting period in the history of Pilot Season. This year saw the adoption of elimination-style voting as titles competed over three rounds to determine the overall winner. At the deadline, nearly one million votes total had been cast by fans for the Pilot Season 2011 titles. Other Pilot Season 2011 contenders included THEORY OF EVERYTHING by Dan Casey, Nick Nantell and Thomas Nachlik, ANONYMOUS by Matt Hawkins, Alan McElroy and Michael Montenat, MISDIRECTION by Filip Sablik and Chris DiBari, THE TEST by Joshua Hale Fialkov and Rahsan Ekedal, SERAPH by Lance Briggs, Phil Hester and Jose Luis, FLESHDIGGER by Shannon Eric Denton, Brad Keene and Alex Sanchez and CITY OF REFUGE by Morgan Davis Foehl and Dennis Calero. In the world of THE BEAUTY, a new STD spreads across the world, but this is a disease you want to catch. It makes all infected people unspeakably attractive. But after the world’s face-lift, two detectives discover some nasty, undesirable side effects. Will the world decide to stay beautiful at an unspeakable cost, or resign themselves to an ordinary-looking life? With THE BEAUTY having been declared the official winner, the creative team will now work with Top Cow’s editorial department to plan out the full series. This PILOT SEASON, the fans came out in full force, crashing the first poll several times for the chance to vote for their favorite 2011 Pilot Season one-shots. 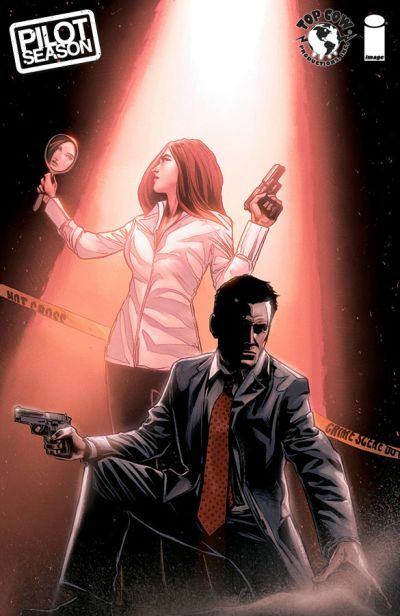 Pilot Season is an annual initiative Top Cow began in 2007, inspired by a concept from the television industry: a number of â“pilot issuesâ€ are submitted for consideration to be â“picked up for a season,â€ except instead of TV executives deciding their fates, it’s the fans! Previous winners of Pilot Season include: CYBLADE, VELOCITY, TWILIGHT GUARDIAN, GENIUS and 39 MINUTES. The CYBLADE, VELOCITY and TWILIGHT GUARDIAN series have been released and can currently be found at your local comic book shop or through Top Cow’s digital distribution partners. 39 MINUTES and GENIUS are currently in production and will be given release dates soon. All eight of the 2011 competitors are available at your local comic shop or through Top Cow’s digital distribution partners including comiXology, Graphicly, and iVerse. A trade paperback collecting all eight titles is planned for release in March 2012 and will carry a price of $19.99.